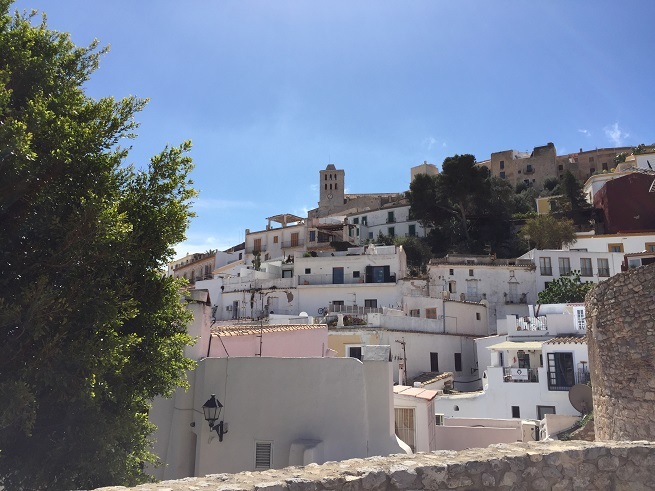 We tried to feel Ibiza in April when is no crazy parties and a lot of tourists, to enjoy in original and “ordinary” Ibiza. Someone said: this is island with two faces; one in the season when the party is 24/7 and another, off-season, when you can enjoy the peace in all that the island has to offer. 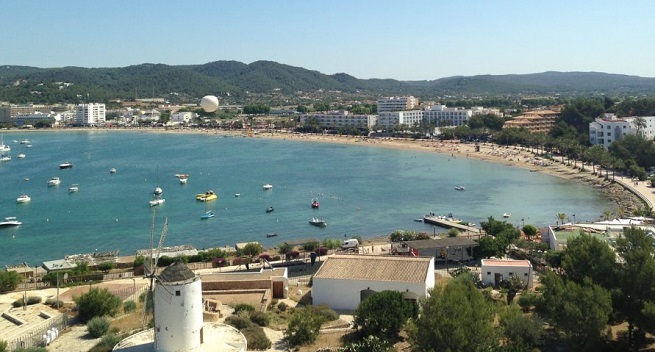 This is a travelogue about the second (right) face of Ibiza. I’m changing. I like the old me, but, I do not anything to go back to the old me. Why I say that? 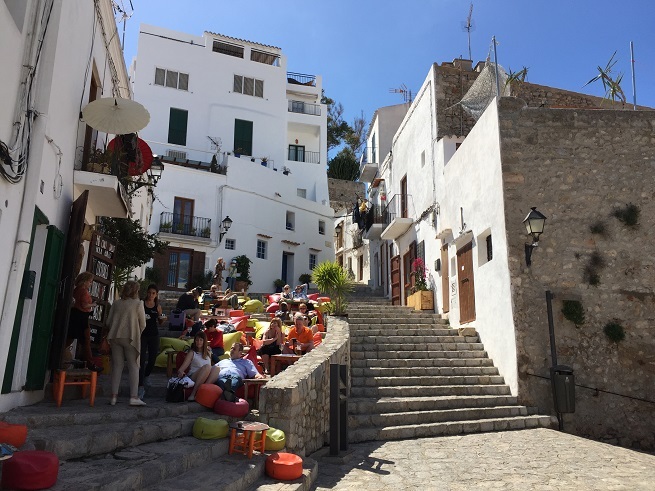 Only a few years earlier I will write to you about the crazy parties, party all day long in Ibiza, and now (I’m not complaining, it feels good for me now) talk and write about the quiet Ibiza. With only 130 000 inhabitants of this Balearic island is located in the Mediterranean Sea. 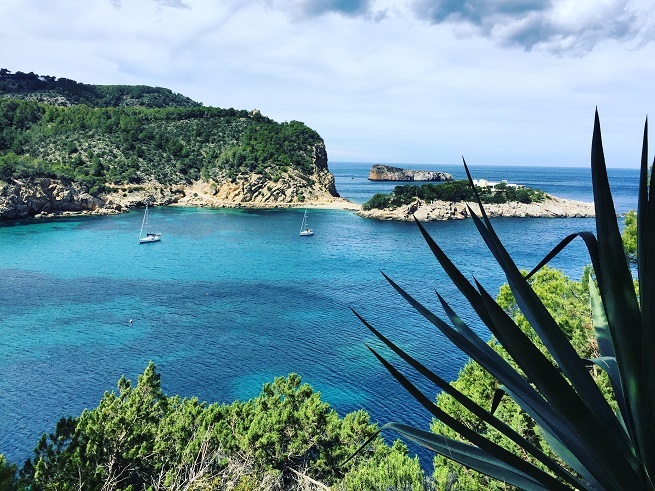 Ibiza is a small island, there are so many beaches that you can every day to swim in a different place and still not be able to visit all the beaches. Since the island is of volcanic origin, all beaches are sandy, combined with rocks. 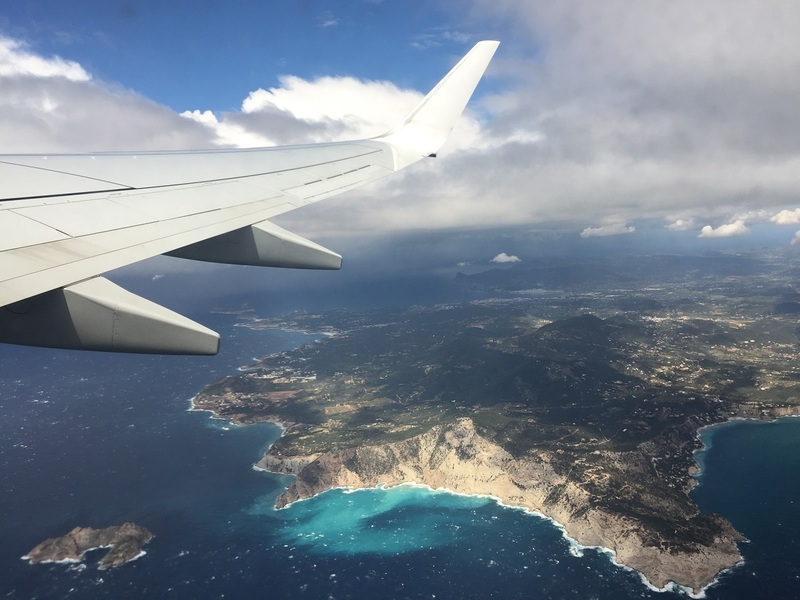 Balearic Islands have sunshine almost all year round, which favors the development of tourism in all the islands of the archipelago. The beaches are quite wild, a lot of them during the spring has no a content: just sand and sea. All you can hear only is the waves. 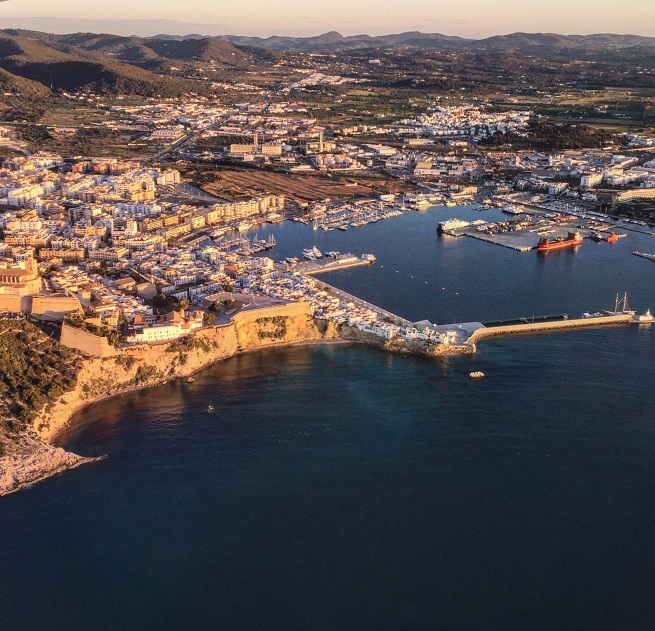 Eivissa is the official name of Ibiza, a capital of the island of Ibiza. 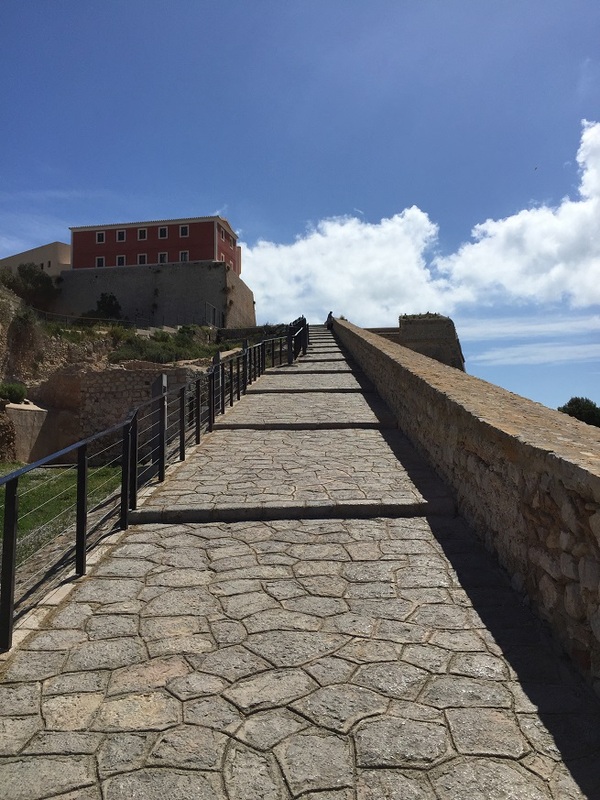 It is divided into two parts: Upper Town (Dalt Vila) closely monitors the height of all the events in it. It is protected in 1999 by UNESCO as a World Heritage building. Inside the walls you will find a maze of narrow streets and (nice is walking that way). Going through this labyrinth, we encountered souvenir shops, cafes tucked, terraced gardens. We found a variety of viewpoints and the view is on the one hand wandered around the sandy beaches and the open sea, and on the other on the streets of the lower city and the harbor. For us it is not surprising that any travel around the city of “how not to”. Why do I say this !? Ordinary people just always find an easier way to tour, climbing … We always choose the harder and longer (of course, not intentionally). So it was this time, again. We climbed into the city from the outside, which is steep, the weight and then, while we were going down one side of the normal through the city, panting, we encountered people who have slow steps revealing the same as me, but in a much easier way. The rest of the island, we explore the car. First we go to the villages located in the central part of the island. 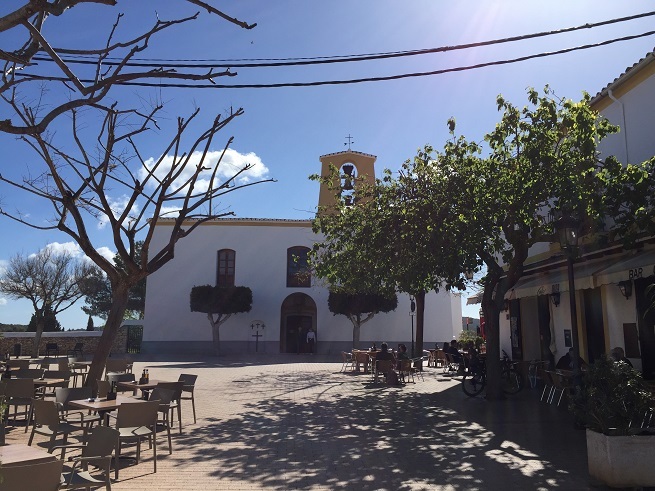 Santa Gertrudis de Fruitera is a nice little place that we visited for half an hour up and down. Church around which everything happens, a couple of streets, the hacienda and that’s it. 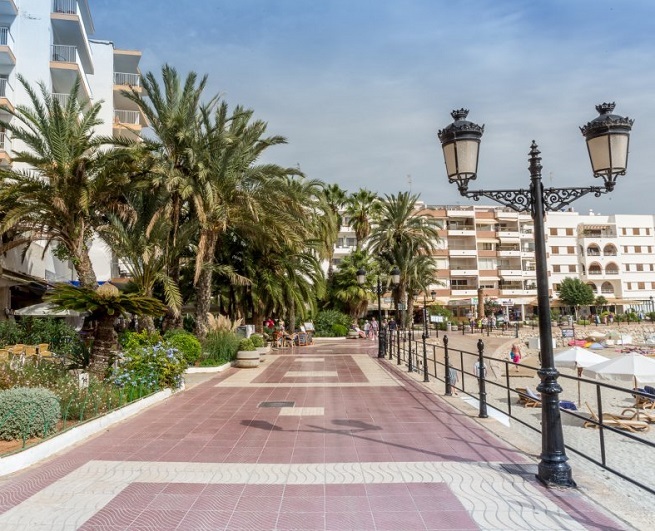 We continue to the town of Santa Eularia. The interesting town (the third largest on the island) subordinate to something more peaceful family holiday with a slower and more relaxing pace. Promenade with palm trees along the sandy beach and the sea, gastronomic and cultural center. The beaches that located near to the city are Playas de Santa Eulalia, Cala Blanca and Es Canor. The next city that we visit the Port de Sant Miguel. Located on the northern part of the island. Formerly a fishing port, now a popular resort with its steep coasts and coves, secluded beaches, dense pine forests and small mountain range is still plugged in and is a paradise for those who want to rest in peace and the rural environment. Located on the western side of the island, the town of Sant Antoni is very popular, especially during sunset. The tourists and locals from around the island come to this place to enjoy the red ball sinking into the sea. Upon the recommendation, and we were there at the time, but we were lucky to watch the magical sunset that we are all described. Weather was not ideal, but we certainly enjoyed this city. We visited Sant Antoni de Portmany and its gorgeous bay of Port Magnus. Café del Mar is a place on Ibiza have to visit! We visited it and we enjoy it. 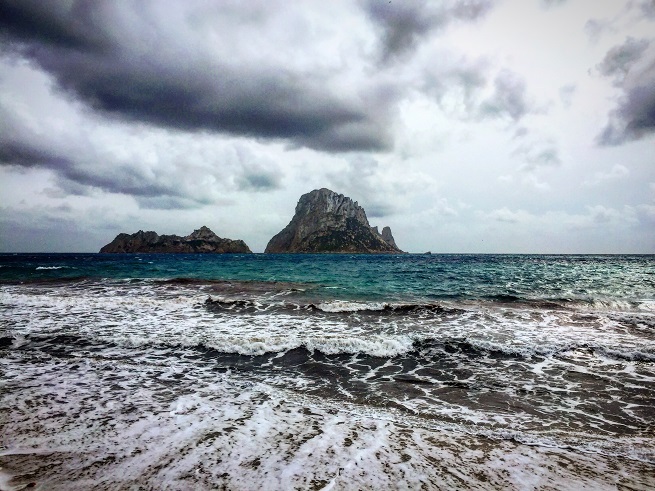 Sant Josep de sa Talaia, the highest quarter in Ibiza, offers some of the most famous landmarks and famous rock island Es Vedra. The weather is changing, the wind began to blow harder and therefore only take pictures and move on. We return to the southern part of the island. In this part of the salt factory Las Salinas, which has recently been the most important product which they are traded. Salt flat, one of the great potential of the medieval Ibiza, today is a natural reserve and refuge for birds, including flamingos. Sixties many artists have come to Ibiza. Here they wanted to experience the full benefits of freedom and paradise island. After them came the hippies and other “freedom seekers”. Many still live on the island. Hippie markets are one of the biggest attractions for tourists. They are held on Thursdays at Las Dalias. Playa den Bossa was our base. The longest beach that stretches along the entire town, in the spring period is a quiet refuge (only a few club is open). Most interesting is that you will every few minutes to see the planes landing at the nearby airport (located six kilometers from the city). 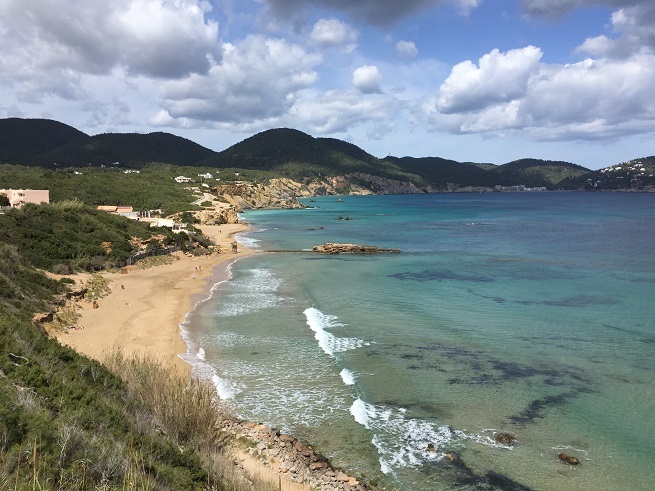 If you like adventure, isolated beaches, sand, rocks, cycling, nature, explore unknown regions, out of season Ibiza is the place for you.